Hotel credit cards are special cards that are branded by a specific hotel chain. This can be a large conglomerate like Marriott, Starwood, or Hilton, or more specific to a luxury brand like the Ritz Carlton. Typically, these cards will function like a cross between a travel rewards card and an airline credit card. They will likely earn large bonuses when spending within their specific chain, but they also typically have bonuses at places like restaurants, airlines, and car rentals. You should also know that hotel points do not usually have as high a value as other points, so your earnings can be somewhat misleading. However, beyond just extra points, most cards will offer either direct elite status benefits or help boost you closer to elite status so you can earn it after just a few stays. Earn 6X points for every $1 spent at over 6,700+ participating Marriott Bonvoy hotels and 2X points everywhere else. 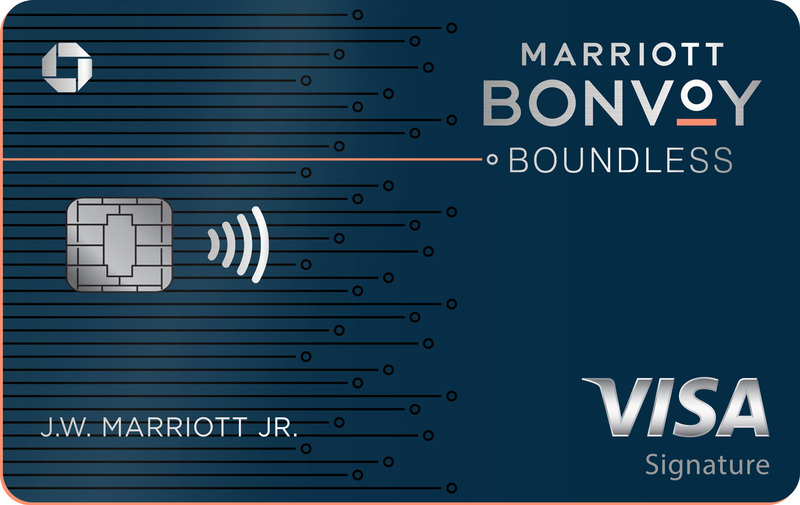 Earn 6x points at participating Marriott Bonvoy hotels. 4x points at U.S. restaurants, at U.S. gas stations, on wireless telephone services purchased directly from U.S. service providers and on U.S. purchases for shipping. 2x points on all other eligible purchases. Earn 125,000 Hilton Honors Bonus Points. Earn Hilton Honors Bonus Points for each dollar of eligible purchases on your Card: 12X at hotels & resorts in the Hilton portfolio, 6X on Select Business&Travel Purchases, 3X Everywhere Else. Terms & Limitations Apply. How Do Hotel Credit Cards Earn Points? These cards earn points just like any other card, in that you make purchases to earn points. All the points you earn on these cards will be deposited into your hotel loyalty program account. You will also earn two or three bonus points per dollar spent if the card has bonus categories outside of the hotel. Like most other cards, you will earn one point per dollar for general purchases. Which Hotels Have Branded Credit Cards? Major hotel chains make up the majority of branded cards, which include Marriott, Starwood, Hilton, IHG, Hyatt, and so on. (Just be aware that many of these credit cards required good to excellent credit scores). For those of you who stay in hotels frequently, these cards will provide you with many extra benefits without having to reach elite status, and you'll earn a lot more points as well. The Starwood Preferred Guest® Credit Card from American Express is the signature card for Starwood Hotels. Earning 1-2x points per dollar, you won't have any trouble earning some free stays at Starwood Hotels, which start at 2,000 Starpoints. You will also get unlimited access to Boingo Wifi Hotspots worldwide, an automatic credit for five nights and two stays for elite status, premium in-room internet, and more. Uber ridesharing also has a partnership with SPG that allows you to earn Starpoints when riding with Uber. You'll earn one point per dollar for all rides as long as you sign up and have stayed with Starwood once in the year. Also, when you use Uber during a stay at a Starwood hotel property, you will earn 2-3x extra points per dollar. We also recently added a review for the Starwood Preferred Guest® Business Credit Card from American Express. This is very similar in nature to the personal card, but also comes with the added benefit of Sheraton Lounge Access! The Chase Marriott Rewards® Premier Credit Card has great earning potential, giving you 1-5x points per dollar in the Marriott Rewards program. You'll get one free night per year anywhere in the world, 15 elite credits toward your elite status each year (giving you automatic Silver Status), and the ability to earn one extra elite credit for every $3,000 spent. Finally, every time you redeem five nights, you will get credit back for the 5th night! We have also reviewed the Chase Marriott Rewards® Premier Business Credit Card. This card is very similar to the regular version, except it has expanded bonus points categories that include cell phones, office supply stores, cable, and the internet. Note that Marriott recently acquired the Starwood Hotel Group brand, so over the next couple years they will be integrating their two loyalty programs and all of their brands. Similarly, the Hilton Honors™ Card from American Express earns 3-7x points per dollar. Get 7X Hilton Honors Bonus Points for each dollar of eligible purchases charged on your Card directly with a participating hotel or resort within the Hilton Portfolio. Get 5X Hilton Honors Bonus Points for each dollar of eligible purchases on your Card at U.S. restaurants, U.S. supermarkets, and U.S. gas stations. Get 3X Hilton Honors Bonus Points for all other eligible purchases on your Card (Terms and limitations apply). It also boasts complimentary Silver status, and you can earn Gold status after spending $20,000 on the card in a year. Soon, we will also have a review on the Hilton Honors Ascend Card from American Express. 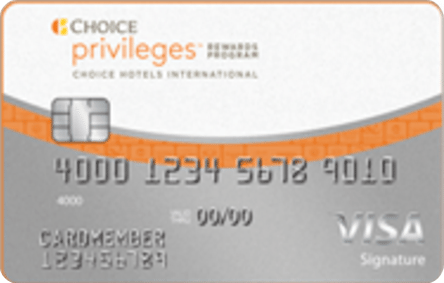 The Chase IHG® Rewards Club Select Credit Card is an excellent choice for those who participate in IHG Rewards Club. 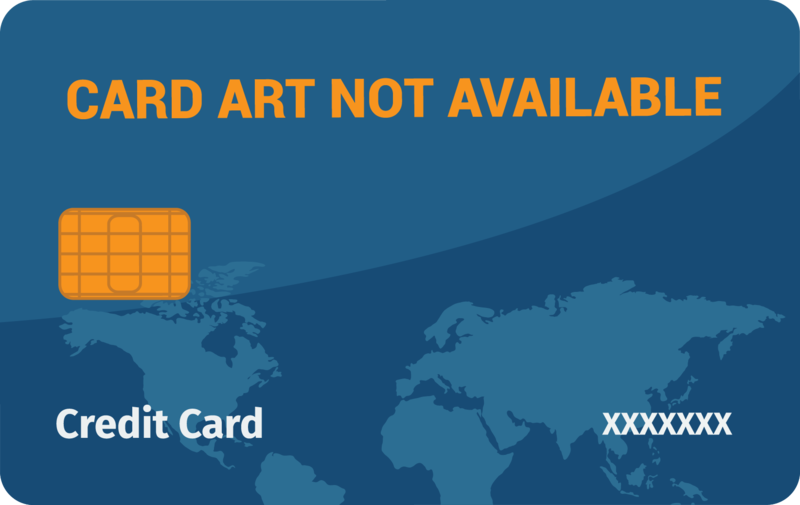 The card earns 1-5x points per dollar and only costs $49 per year. For every year you own the card, you also get a complimentary night at any IHG property worldwide! IHG properties include the Intercontinental, Kimpton, Hotel Indigo, Even Hotels, Hualuxe, Crowne Plaza, Holiday Inn brands, Staybridge Suites, Hyatt Residence Club and Candlewood Suites. Check out our review of the Chase Hyatt Credit Card to learn more about earning rewards points in your World of Hyatt account. Hyatt properties include the Park Hyatt, Grand Hyatt, Hyatt Regency, Hyatt, Andaz, Hyatt Centric, Unbound Collection, Hyatt Place, Hyatt House, Hyatt Zilara, and Hyatt Ziva.